No one wants to detangle wires when a problem arises. It simply makes sense to invest in a structured, well-organized cable system from the start. As audiovisual integrators and technicians, one of our most important responsibilities is addressing cable management, especially when it involves fixing a poorly implemented initial installation. We’ve all experienced the horror of arriving at a client’s business only to discover a rat’s nest of cables, cords, coax, and wiring connected to a poorly designed or maintained server network. We are then forced to immediately address these concerns and offer guidance on how and why the network should be improved to mitigate heat-related server performance issues and lost productivity. Correcting this tangle of cables can be time-consuming upfront, but it will save precious resources and money over the long term. 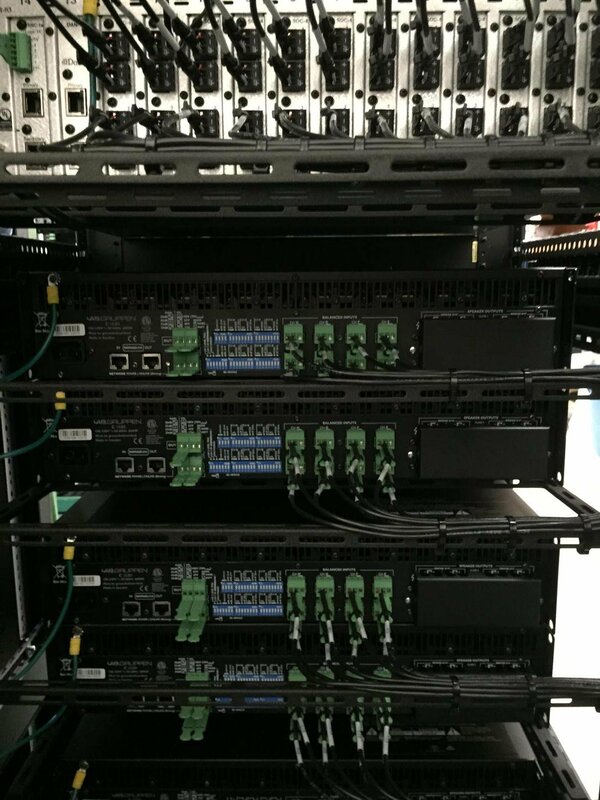 When we discuss cable management solutions with a client, whether it’s a new installation or update to an existing network, we focus on the equipment that will deliver the best access to maintain and modernize the system, adequate cooling to ensure optimum performance and meet the company’s efficiency objectives. Any downtime a client experiences directly translates to lost revenue and needs to be the top priority to address. According to PACRAD, the top five cable management solutions are horizontal racks, vertical racks, cable hangers and trays, data patch panels and fiber optic patch panels. Each one has a place and purpose within the server room or user platform. Our job as a professional AV integrator is to show our clients how this equipment will benefit their operations and save money over time. Horizontal racks are ideal for organizing cables in a server room at the time of the initial installation. 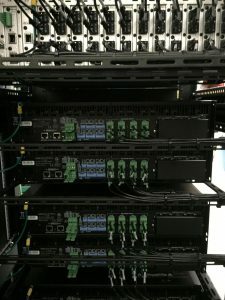 While there is an initial investment with lacing bars when opting for horizontal racks, the end result is a neat and professional looking data center which is much more conducive to subsequent maintenance and troubleshooting. On the other hand, using vertical racks maximize airflow at network stations. Vertical racks also tend to take up less space leaving more room for future network expansion. Note that both horizontal and vertical lacing management allow for bundling using Velcro strips instead of zip ties, which tend to pinch and compress cables. Velcro strips can also be reused or repositioned as needed unlike zip ties. We employ industry best practices of signal separation in racks when bundling cables and make sure to allow sufficient service loop length. Cable hangers are used to organize cabling within racks. These cable hangers can be mounted either on the ceiling or floor and are excellent for organizing long cable runs. According to the cabletrays.org website, “Per the National Electrical Code, a cable tray system is ‘a unit or assembly of units or sections and associated fittings forming a rigid structural system used to securely fasten or support cables and raceways.’” There are two popular types of trays: perforated trays and solid trays. Perforated trays provide superior air ventilation. Solid cable trays offer superior protection. For more information on cable tray use, check out Understanding Cable Trays by David Herres. Fiber optic patch panels, also known as termination units, are similar to data patch panels, but are designed specifically for fiber optic cables, according to PACRAD. These panels can accommodate connectors and patch cables. Integrators can easily connect cable fibers through cross connection, test and connect with other network equipment. In The Art of AV Equipment Rack Design, Mike Tomei, an AV design and management consultant based in central New York and owner of Tomei AV Consulting wrote, “Paying attention to some basic rack design concepts early in the project’s timeline can prevent a handful of issues you’ll have to address in the future… Incorporate a couple internal rack shelves to secure all of your small items like twisted pair transmitters/receivers, distribution amplifiers, scalers, converters, power supplies, etc.” Labeling cables and wires accurately and thoroughly is a must as well as preserving easy access to the rear of all equipment within the rack for troubleshooting and maintenance purposes. Power use effectiveness (PUE) is affected by cable management in regard to data center airflow. Many clients simply do not realize that if cable management is improved, cooling unit fan speeds can be reduced and temperature controls increased. By selecting the proper equipment and organizing it to optimize airflow, there is an improvement in the ease of access thereby saving our clients valuable time and money. Disorganized racks make it difficult for our technicians to follow the cable flow and test, install and remove or repair equipment. When you take into account installation and labor costs, a haphazard installation can easily double the cost to the client. It simply makes sense to invest in a structured, well-organized cable system from the start.